In contrast to most EU countries, governments across southeast Europe plan new lignite power plants during the next few years. These plans starkly conflict with the Paris Agreement’s aim of limiting climate change to 1.5 degrees Celsius. All the projects have serious economic, environmental and legal weaknesses, which would burden electricity consumers and taxpayers for years to come. With the exception of Stanari in Bosnia and Herzegovina, which has started operations, all the plants are seriously delayed. Our aim is to support local groups in making sure that no more coal plants are built and that southeast Europe finally speeds up the path to an energy efficient, renewables-based energy system. All the Western Balkans countries have committed to increase their share of renewable energy by 2020 to reach between 25 and 40 percent of their energy mix, as part of their obligations under the Energy Community Treaty. Yet this is far from obvious when examining their investment plans for new power generation capacity. Governments are actively planning to build 2800 MW of new coal plants with construction cost of at least EUR 4.5 billion. In contrast, these countries are only planning to build around 1166 MW of wind power plants, at an estimated cost of EUR 1.89 billion. At the same time, Western Balkan countries have ambitious plans to increase their electricity generation. But it is unclear if there will be demand for all the available electricity. 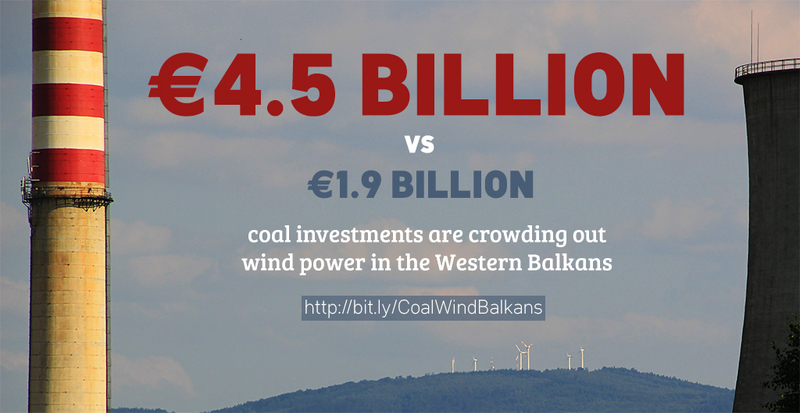 Plans for coal bring serious economic risks for Western Balkan countries. Contrary to popular belief, coal is not cheap. Under the Energy Community Treaty, signed by all Western Balkans countries, Ukraine and Moldova, all new coal plants have to be in line with EU environmental standards and countries must follow EU state aid rules, meaning they are not allowed to continue subsidising the coal industry as they have done so far. In most cases, these new standards will make coal plants more expensive. But the few feasibility assessments that are publicly available often do not include these costs. 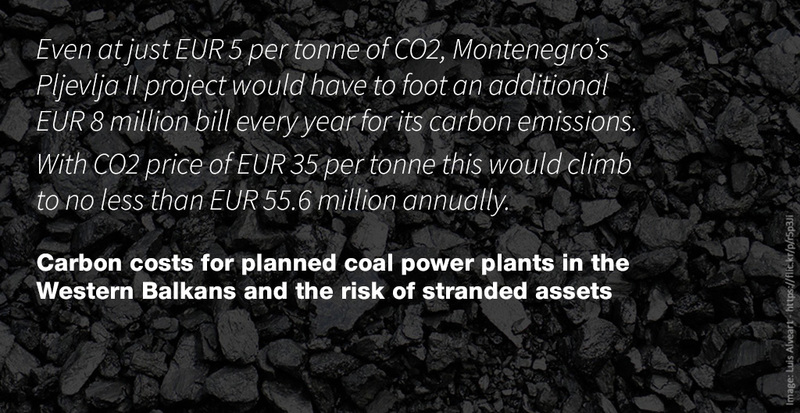 Conservative estimate of the cost of the planned Western Balkans coal plants. Money that would be better spent on energy efficiency and developing sustainable renewable energy. EU market rules also apply to the Western Balkans electricity sector via the Energy Community Treaty. The EU Emissions Trading Scheme (ETS) has not yet been adopted by the Energy Community, but Accession Countries – and that includes most Western Balkans countries – need to apply it as soon as they enter the EU. However, most coal projects fail to take the effects of CO2 prices into account. They risk becoming uncompetitive in the future, with taxpayers footing the bill. The TES6 lignite unit in Slovenia is a showcase of the risks for coal projects in the Western Balkans. It cost more than double the estimated amount and brings annual losses of tens of millions of euros for the country. It only created a fraction of the number of jobs promised. Every winter, towns across the Balkans face the same problem of heavily polluted air, and residents are increasingly concerned about the health implications. Ageing coal power plants and open-cast lignite mines play an important role in aggravating the situation. Yet, air quality data is either unavailable or unreliable. Metering stations are placed in irrelevant locations and often certain pollutants are simply not monitored. In 2016/17, Bankwatch and our partner organisations from the region conducted independent dust monitoring in four selected locations in Western Balkan countries, plus two more in Bulgaria and Romania. In all cases we have found worrying levels of particulate matter, dust so small it enters deep into our lungs and blood streams causing irreversible damage and respiratory and cardiovascular diseases. 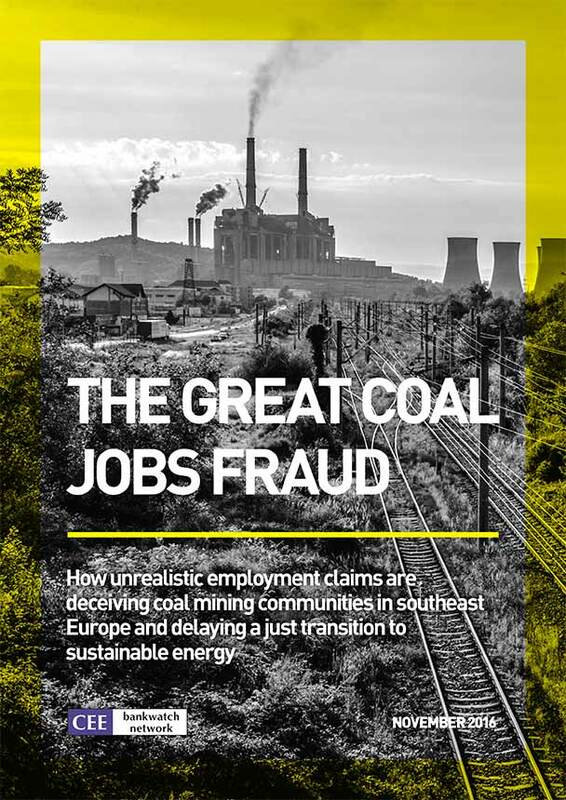 Hardly any coal operations across the region are economically viable, and as a result many coal workers, especially in the mines, are set to lose their jobs, even if the plans for countless new power plants materialise. 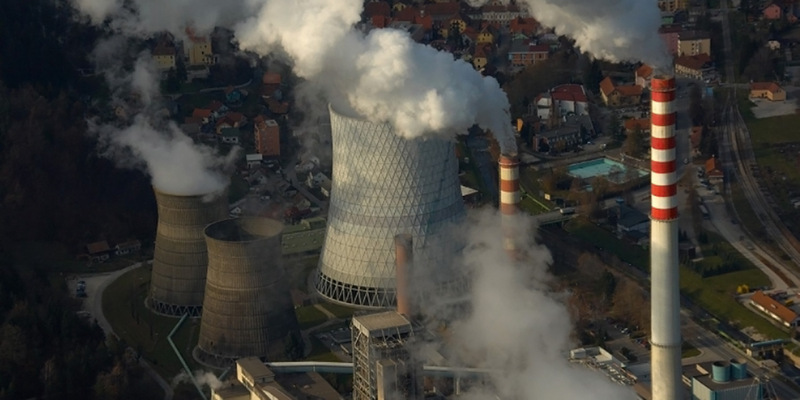 In 2013 the European Investment Bank, the European Bank for Reconstruction and Development and the World Bank virtually halted lending for new coal power plants. Therefore most planned plants are due to be financed by Chinese state banks – the ExIm Bank and the China Development Bank (CDB). Bankwatch put together a toolkit for anti-coal campaigners with information on coal projects and relevant investors. It offers guidance for contacting coal investors and details on the policies they apply. South-eastern Europe has high potential for energy efficiency and sustainable renewable energy investments. Yet, as a Bankwatch study illustrates with a number of examples, countries have shown little ability to absorb investments at a large scale without systemic corruption and patronage. See summary of the examples in the map here or more details in the full study.